The next major step in an appeal after preparation, filing and service of papers is oral argument. Attorneys representing the different parties to the appeal present their arguments orally to a panel of appellate judges, and respond to questions from the judges concerning issues raised by their respective positions. The panel usually consists of three judges, but can also be composed of two. The clerk of the court decides which panel of appellate judges will hear the case. The parties do not have input into the location of the panel or the selection of judges. As with briefs, oral argument is governed by appellate rules unique to every jurisdiction. Among the most important rules governing oral argument are those that set the amount of time allotted to each party to make their presentation. The appellant (the defendant in the trial court) goes first, followed by the Assistant Prosecutor or Assistant United States Attorney. The appellant then may have the opportunity to present a final argument to rebut the positions stated by the prosecuting authority. The total amount of time allotted to each party for oral argument is approximately 30 minutes. In the New Jersey courts, oral argument is typically not mandatory, but will be granted if requested by a party. Sometimes, neither party will request oral argument, but the Appellate Division will ask for it on its own. On the Federal level, the Third Circuit Court of Appeals will decide if it requires oral argument to decide the appeal. If so, the Court will schedule oral argument in the case and require the attorneys to appear. Oral argument is yet another opportunity to explain or clarify positions, or to argue that a position taken by an adversary lacks merit. It also affords an opportunity to "clean up" statements made in the briefs that, for whatever reason, could have been stated more cogently. Oral argument requires many of the same analytical skills demanded by legal research and brief writing. However, because it is “live”, there are no opportunities to correct misstatements. The attorney may commence the argument with points that they may wish to highlight, but then the panel can - and often does - raise questions that focus on completely different issues. When this happens, the attorney has to stop their presentation and respond to the panel's questions. 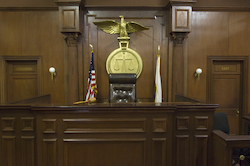 Under these circumstances, the ability to deal effectively with oral argument depends upon the extent to which the attorney has mastered the file. The attorney must know the appellate record cold, and have the ability to shift gears with ease and respond to questions under fire. Since there is only one oral argument, the attorney arguing the appeal must get it right the first (and only) time. Oral argument is typically the last step in the process of presenting an appeal. Once concluded, the court hearing the appeal will decide the case based upon the briefs and colloquy heard at oral argument, and then issue an opinion.